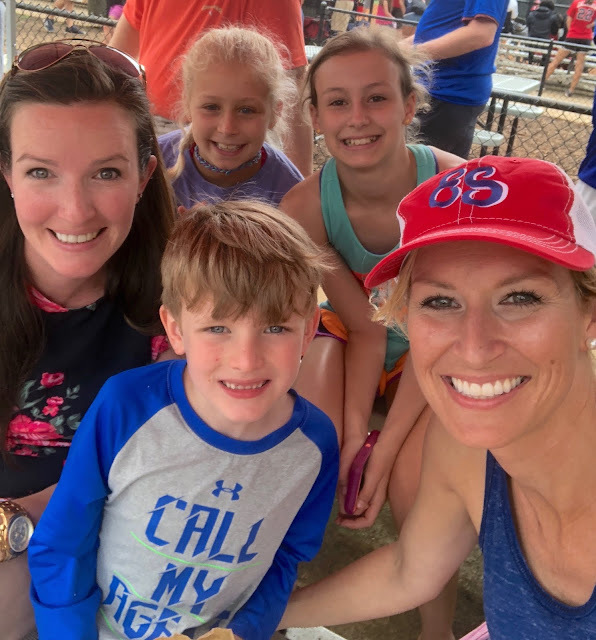 It's no secret I'm a baseball mama. 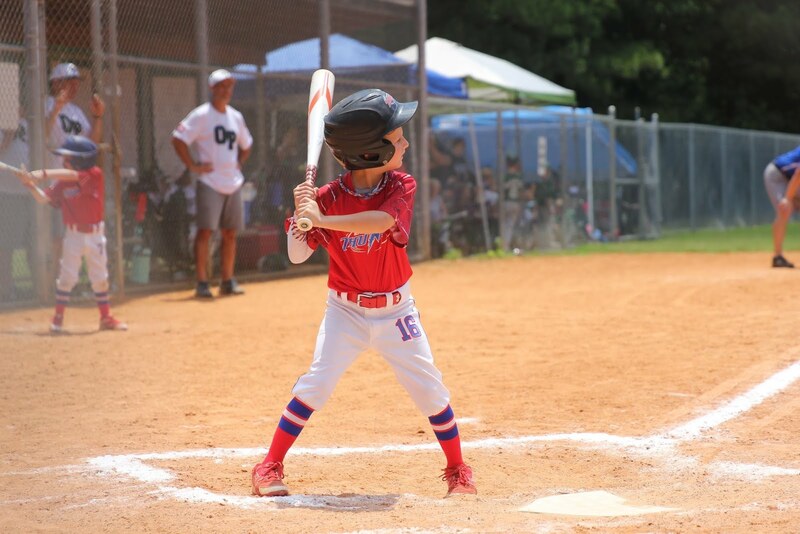 I've talked about it several times here before and my little guy is just so in love with the game. 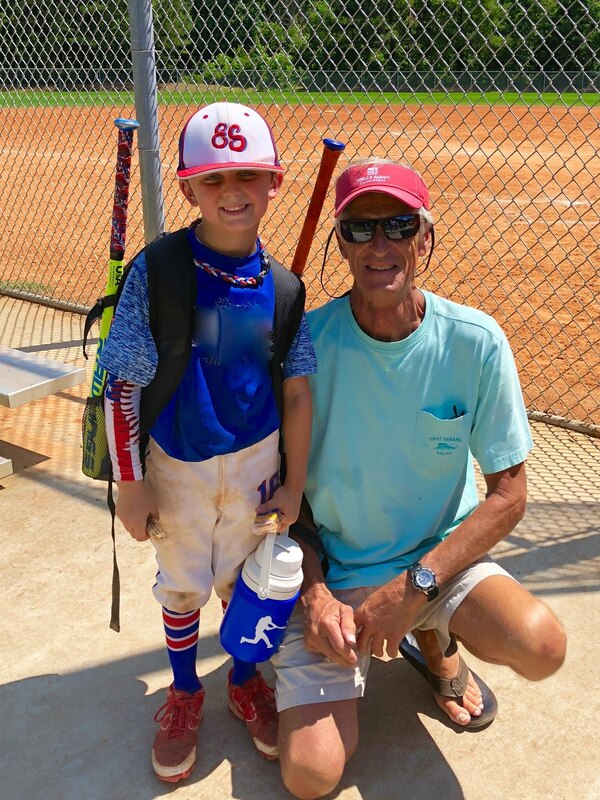 He and I have spent many hours practicing together...from playing catch to some driveway hitting sessions, he always wants the Mr. or I to be outside playing ball with him. 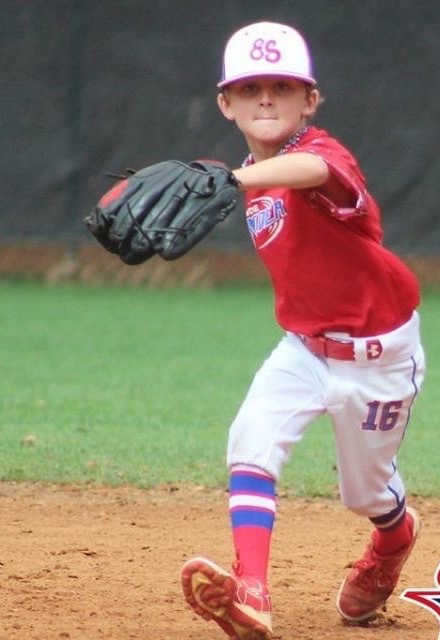 All long his goal was to tryout and make the summer allstar team. He told me if he found out he made the team it would be the best day of his life. 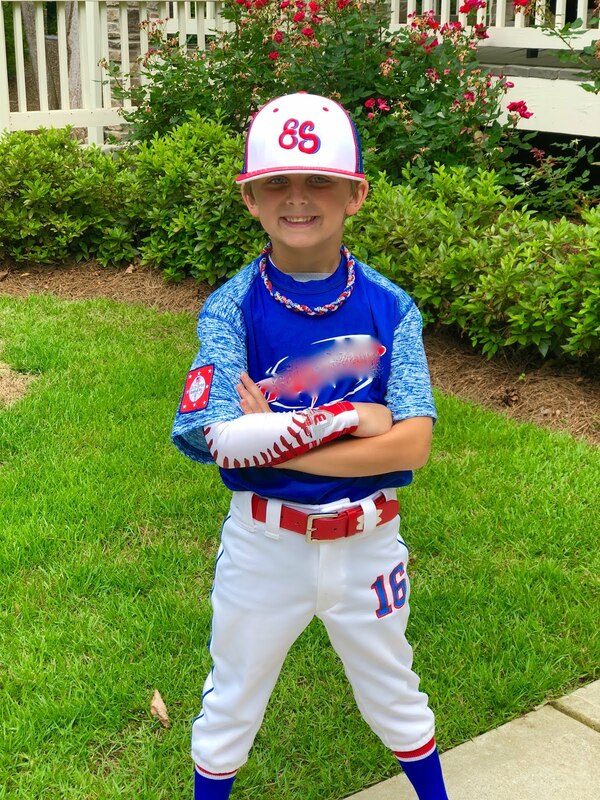 He says that a a lot about a lot of different things so this kid has a pretty good life, but he was so excited when he found out he had made the team. We are two tournaments in and I am having just as much fun as he is! 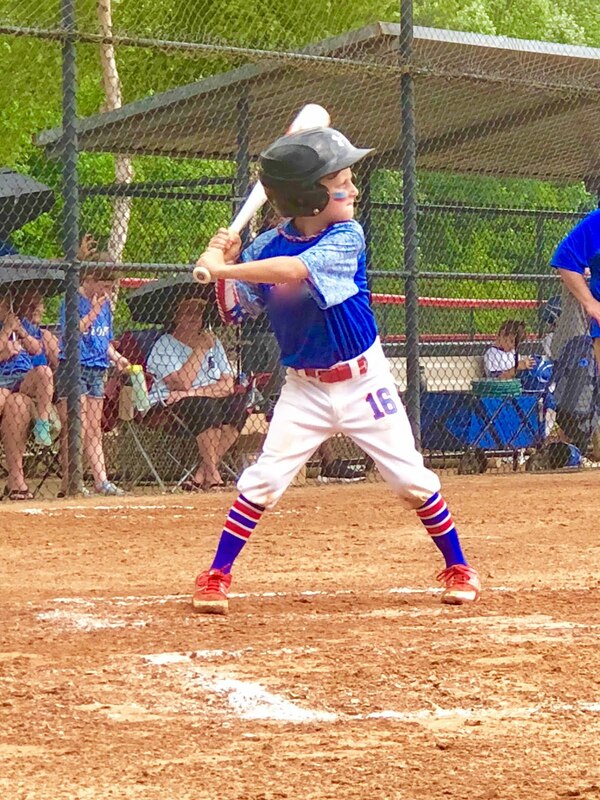 There is nothing I love more than cheering on my sweet boy doing what he loves. We even had Jen and Cute there for one of his games! We're with a great group of kids and families and that makes it so much more fun. We are rookies when it comes to the summer ball thing, but a lot of these families are seasoned pros so we have learned from the best so I'm sharing 10 must-have essentials for surviving allstar summer baseball. And a lot of these things can be used for more than just baseball! This team's tent game is on point. It is a well orchestrated event to get tents up and in place. With the hot sun beating down, it is the only way we can manage to stand sitting in the stands to cheer for our boys. It's amazing to watch one team break down, move tents and then the next team seamlessly move in with their tents. This is probably one of the best inventions ever! It reminds me of the misting areas at Disney World. 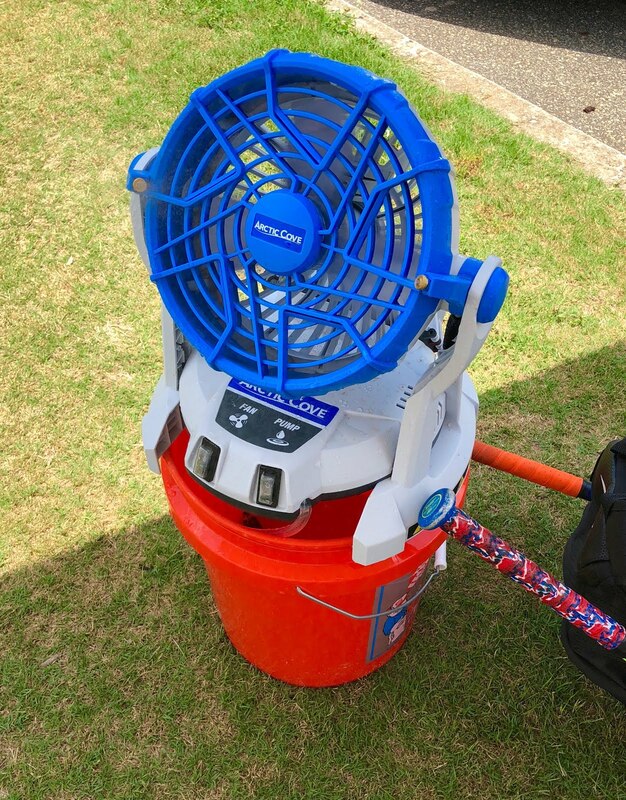 You fill a bucket with water, put this fan with a hose connected to it on top and when you turn it on the mist blows out and starts cooling us off. I always strategically place myself near the mister! This is being purchased as a Father's Day gift for two people I know this year. It is brutal to sit for double headers on the hard bleacher seats with no back support. These seats make it much more comfortable and will probably help my slouching, too! 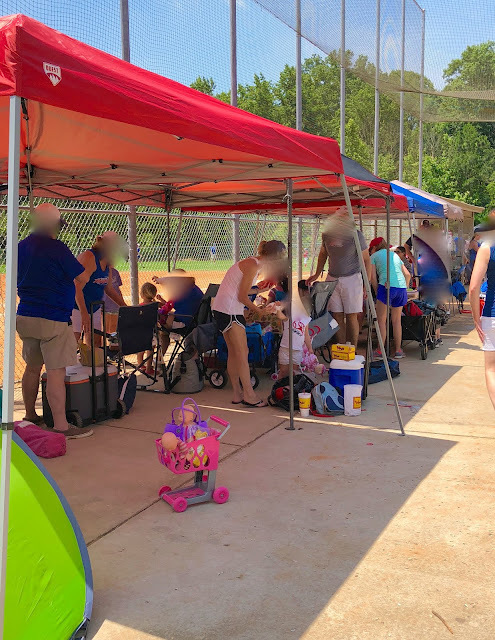 You have to have a way to get all this stuff with you to the fields...especially if you have to park kind of far away! These soft sided wagons collapse so they don't take up much room in the back of your car, but they can haul a ton of stuff! 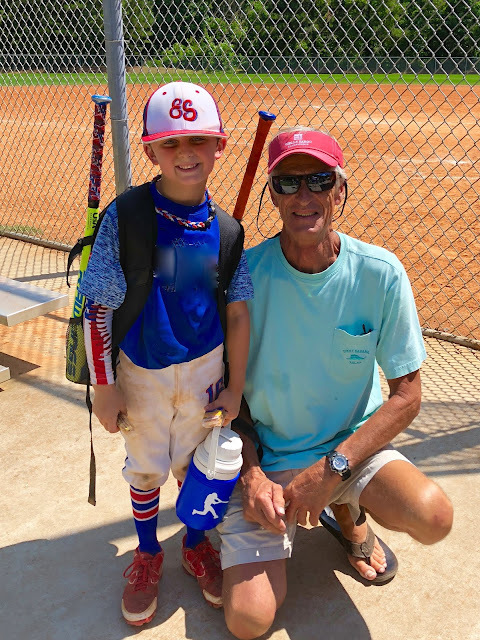 I worry about the poor boys playing ball all day in the hot sun, but we do our best to keep them cool with fans in the dugout and they all have these cooling neck towels that they wear between innings or when they aren't batting. It really seems to help! 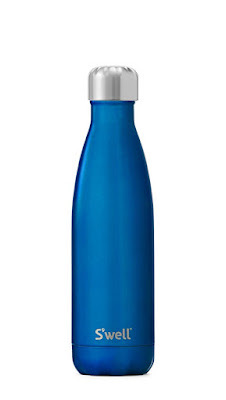 A good insulated and leak-proof water bottle is a must. We go through so much water on these hot days. Our favorites are the Under Armor jug and a Swell or Corkcicle for us spectators. You can read all about which keeps water coldest the longest from my daughter's Science Fair experiment! A cooler with extra waters to refill cups, snacks, Gatorades and even extra ice is nice on those super hot days. 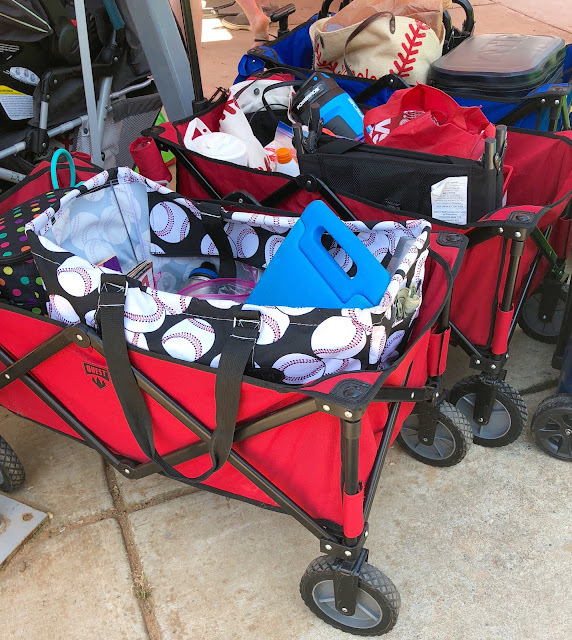 We've been using this Yeti Hopper Flip 8 on tournament days and it is the perfect size! 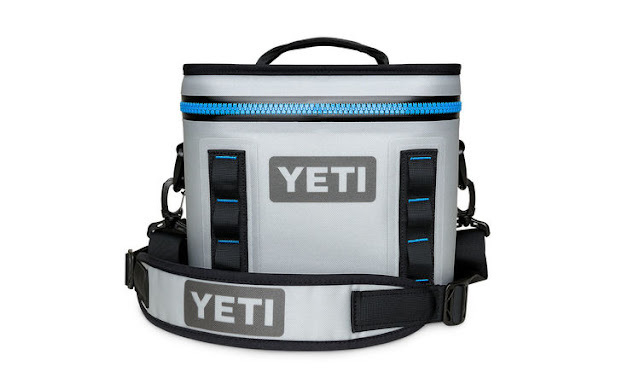 It holds several drinks, a big ziplock of extra ice and there is always extra room for some snacks like fresh fruit, etc. 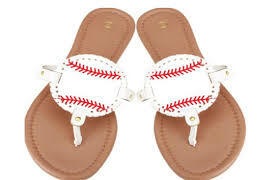 Love supporting our team with some of my favorite baseball apparel. I have a team shirt, but just ordered a few others like this and I'm eyeing these earrings, leather wrap bracelet and adorable baseball sandals. 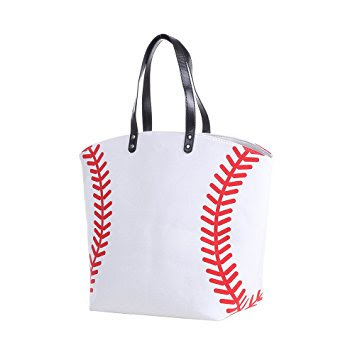 While I'm at it, this super cute baseball tote bag is calling my name! I have a big bag I've been using, but the handle is about to bite the dust so this one might be my next purchase. There is nothing better than some crisp white baseball pants. That is until your kids takes a dive into second base and gets them COVERED in red clay. 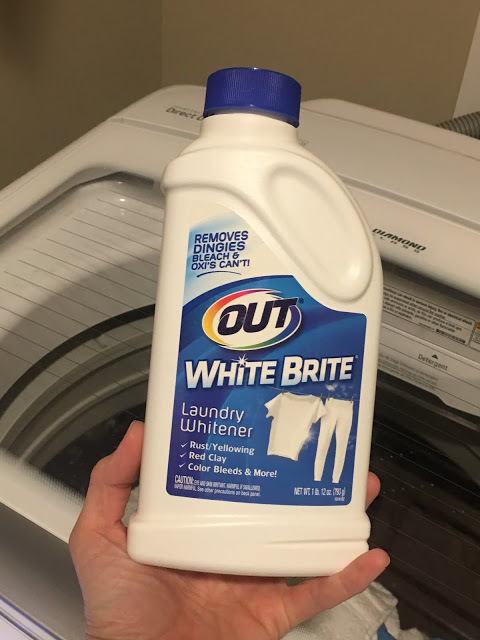 I used to cringe, but now that I have a few secret ingredients to make white pants white again I don't even bat an eyelash. This cocktail of cleaners is seriously a miracle worker! First I soak the pants using White Brite and then rub a bit of Fels-Naptha on the really dingy parts like knees. Lastly I wash with some other white towels and the pants come out good as new every.single.time. You would think I would get used to the results, but I'm literally amazed every time!